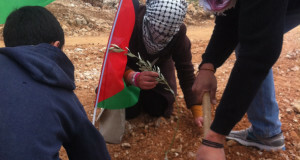 Around 80 settlers and soldiers brought diggers and steam rollers near the Asira water project and started to flatten ground on private Palestinian land. 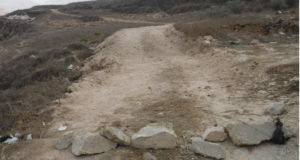 Residents fear this is the first stage in an expansion of the illegal extremist settlement of Yitzhar that daily attacks Asira and the unfinished water project that will provide the village with the much needed resource. Early in the morning on Wednesday 28th August in Asira al Qibliya around 50 soldiers and 30 settlers set up a tent on the mountain in land between the illegal settlement of Yitzhar and the Asira Water project. Machines were then brought to start work on the land including a digger and a steam roller. The land was flattened in preparation for new illegal structures that will most likely be an expansion of Yitzhar, which is of major concern to the villagers. 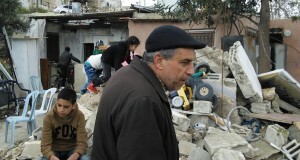 The settlement is built on stolen land and the new construction is also taking land from the village, even when organisations such as the UN have visited the site and agreed that it always belonged to Asira, a Palestinian activist working for the village council told international activists. The family who owned the land was given no information by the army about any plans to construct on their property. Any expansion of the settlement not only steals land but puts the villagers in great danger. Settlers from Yitzhar have attacked numerous surrounding villages, attacking villagers, burning land and cutting olive trees. 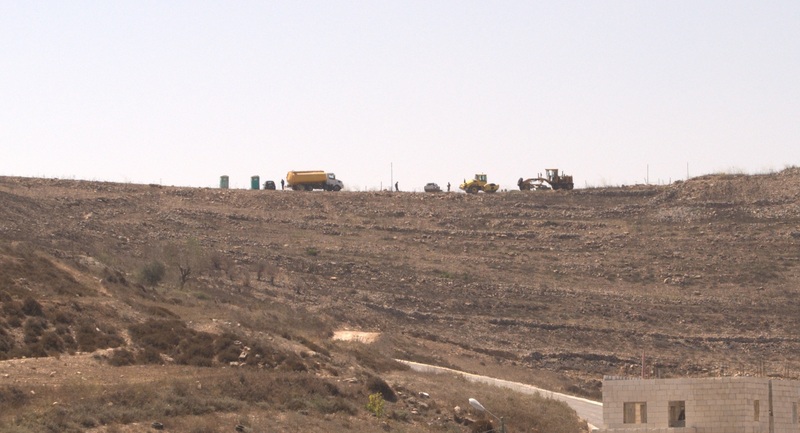 When attacking Asira, settlers have focused most of their attention recently on the construction of a water project that will provide much needed water to the village, presently Asira residents have to buy water tanks to sustain their families. Settlers have thrown petrol bombs to damage the project and stop the workers and recently, on Sunday the 25th August, stole equipment including water pipes. Expanding the illegal settlement puts the water project at greater risk, not just by the attacks of the settlers, but the close proximity to the new expanded settlement could justify it being claimed as a security threat by the army and so demolished. This new expansion of Yitzhar is an extremely aggressive move by the Israeli occupation given that they are currently claiming to be committed to peace talks. Yitzhar already started to expand during the talks when land was raised near Einabus on the 21st August. The village of Asira feel powerless in the face of these moves.